Summer time brings gatherings. Suddenly, every weekend has a barbeque, bridal shower, birthday party or other excuse to gather and eat gorgeous food. And when invited to these soirees (and especially if you’re just getting to know the hostess), it’s good practice to bring a hostess gift. I’ve collected 20 DIY Hostess Gifts that are sure to be received warmly. And if you’re REALLY using your thinking cap, you’ll choose a few of these and make them ahead of time so that they’re ready to be slipped into your bag before you head out to the McMillan’s Annual BBQ or Janie’s engagement party. Or to my house. I want these! p.s. I know that I said “hostess gift”, but in order to avoid seeming completely sexist, I want to make it clear that hosts are also definitely worth spoiling. Please consider these gifts for the man who loves to throw a good shin-dig as well! A classic hostess gift is the bouquet of flowers. 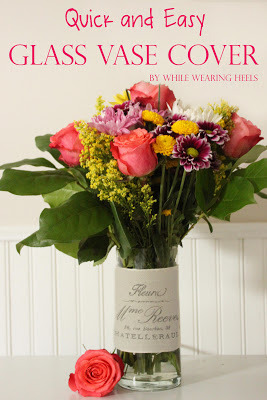 See how Amy from While Wearing Heels created this gorgeous vintage-inspired vase wrapper to add style to a vase. Mason Jars are incredibly on-trend right now. 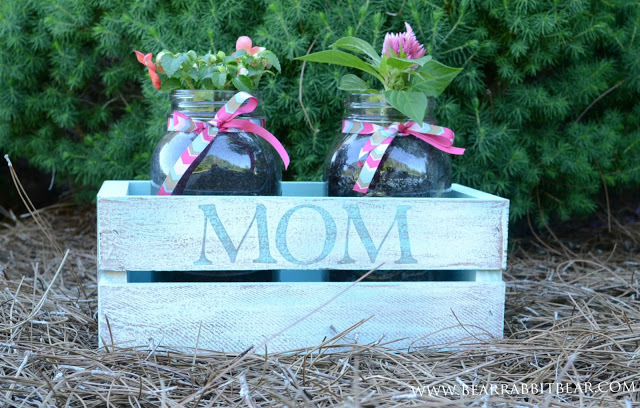 See how Linda from It All Started With Paint created these stunning distressed Mason Jar vases. 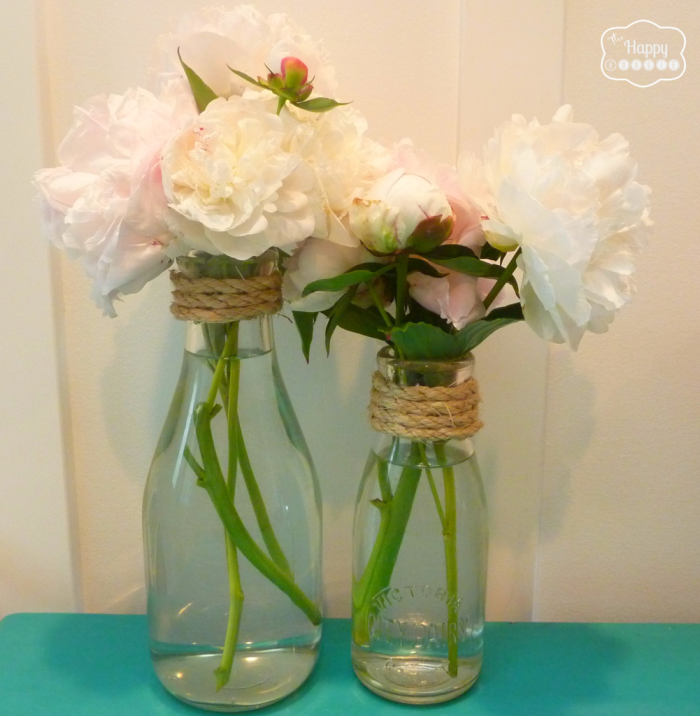 Krista from The Happy Housie added a bit of rope to milk bottles, and suddenly, she’s created a rustic and chic set of vases! So lovely. Presenting a potted plant? Why not put it in a flower pot that you embellished with paint? 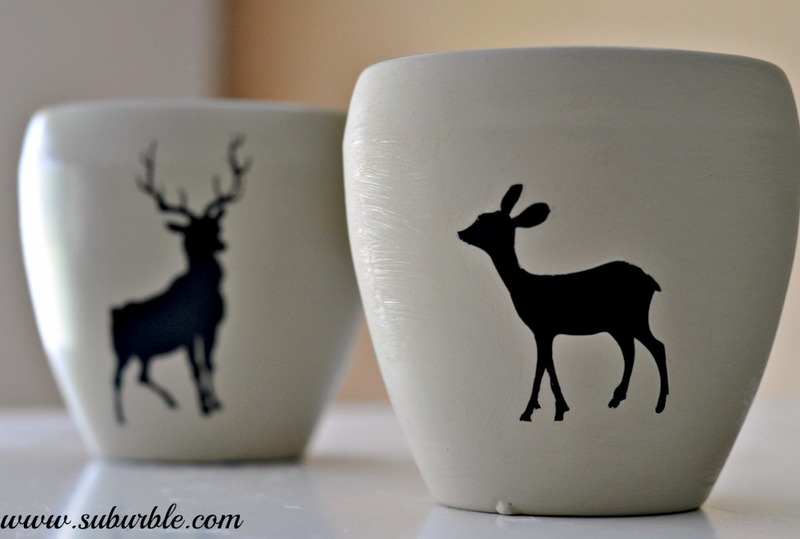 See how I created this pair of Buck and Doe Flower pots! Coasters are a great hostess gift! 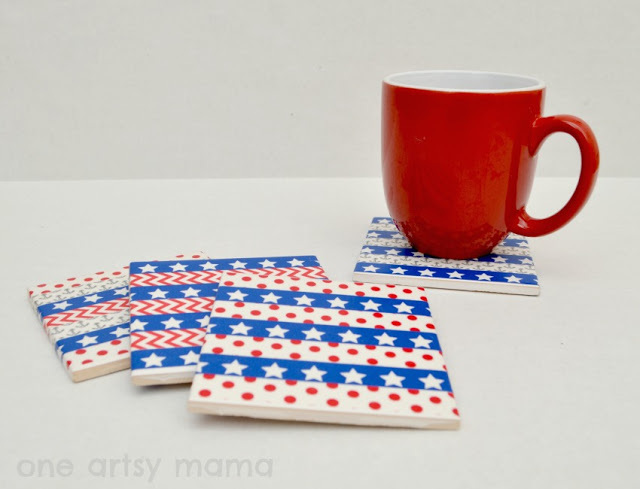 Check out how Amy of One Artsy Mama created these Patriotic Coasters using washi tape! Imagine the possiblities that the vast selections of washi tape could bring! 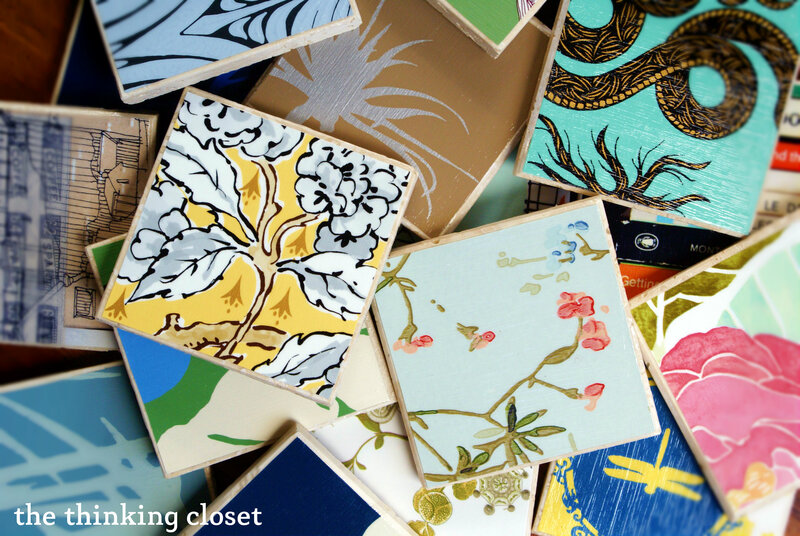 Lauren from The Thinking Closet created these gorgeous coasters with tile and wallpaper – and what gorgeous patterns and colours for the summer! Robin from All Things Heart and Home created these rustic and beautiful coasters. 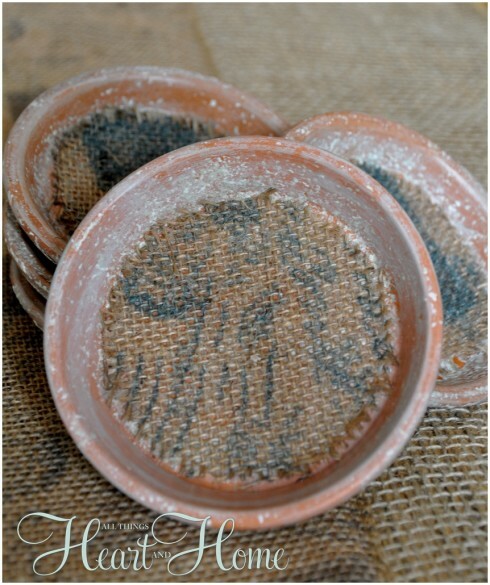 I love the burlap and terracota colours – these would be wonderful at a garden party. 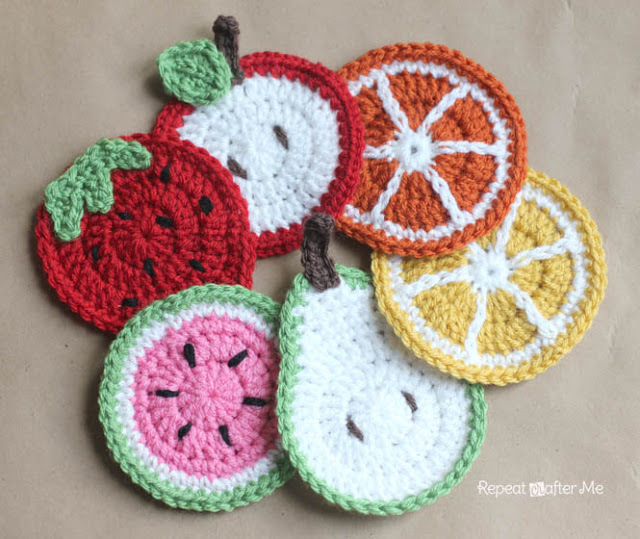 Sarah from Repeat Crafter Me created these awesome fruit coasters using yarn and a crochet hook. How fabulous would these be on the patio? And speaking of crochet, I haven’t ever met a crocheted dishcloth that I didn’t love. 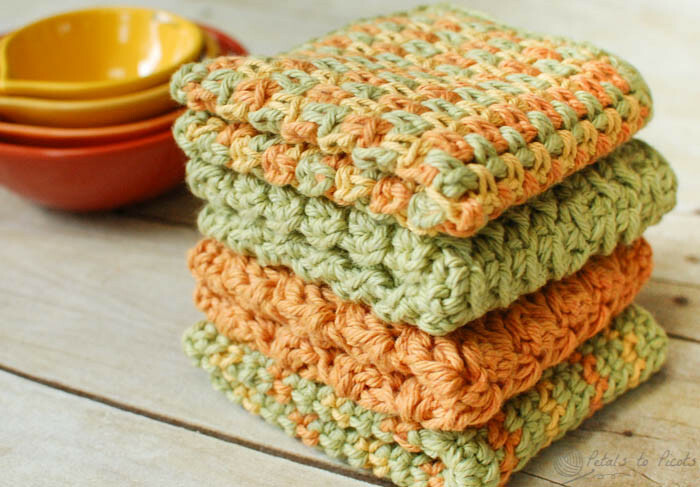 Kara at Petals to Picots has a free pattern for creating these lovely (and practical) dishcloths. 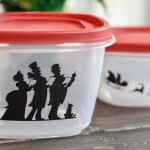 I know that I would be ecstatic upon receiving a gift of these! It’s also nice to give a hostess a bit of pampering. 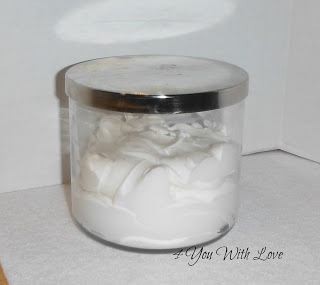 Marilyn at 4 You With Love has a recipe for Homemade Body Butter. 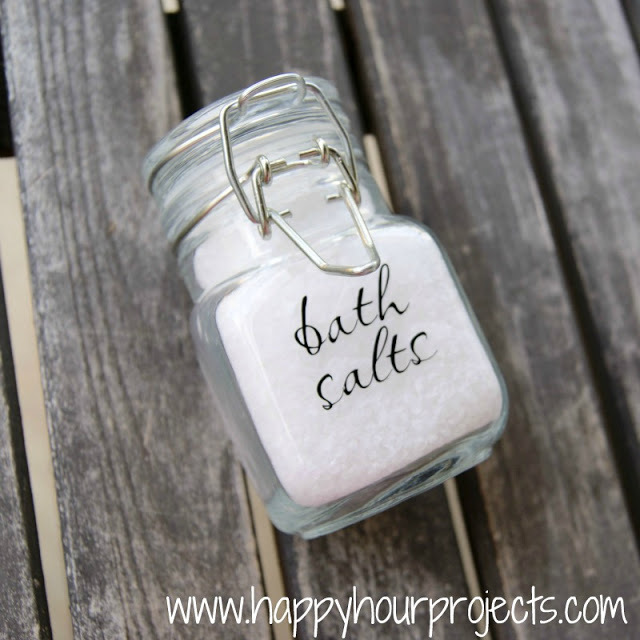 Adrianne at Happy Hour Projects shares a recipe for homemade bath salts. After a day of mucking in the garden or playing at the beach, there’s nothing like a relaxing hot bath. Or how about soaking those feet? 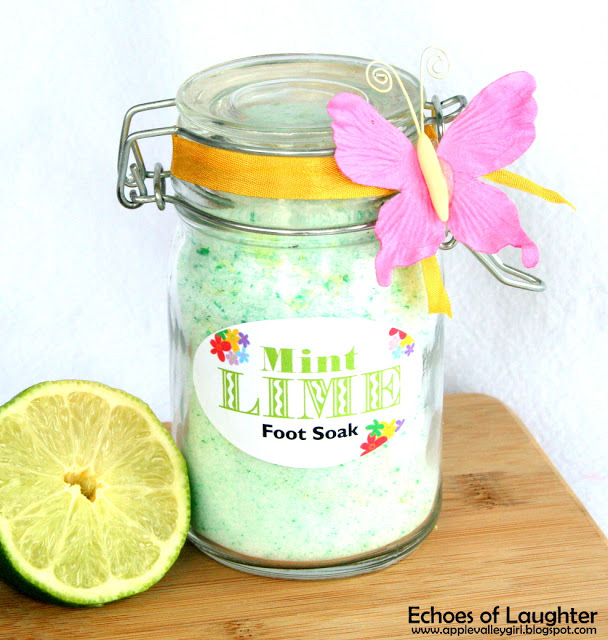 Flip-flops do terrible damage to our heels, and Angie’s recipe for a Mint Lime Foot Soak on her blog, Echoes of Laughter, would be perfect for the hostess who lives in sandals! Is your hostess a coffee aficianado? 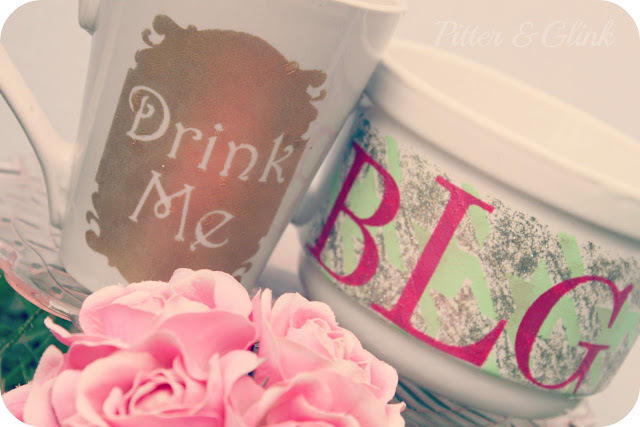 Bethany from Pitter & Glink shares a great tutorial for personalized mugs with style. The Alice In Wonderland reference is a lovely touch. Or maybe you’re visiting a fun-loving hostess? 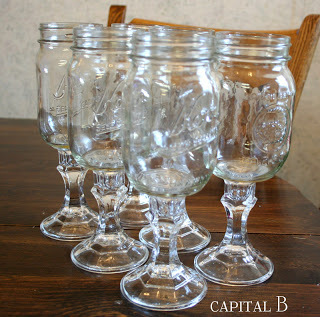 These mason jar wine-glasses (or “Red Neck Glasses, as Sky calls them), can be found on her blog, Capital B. I sooo want these! 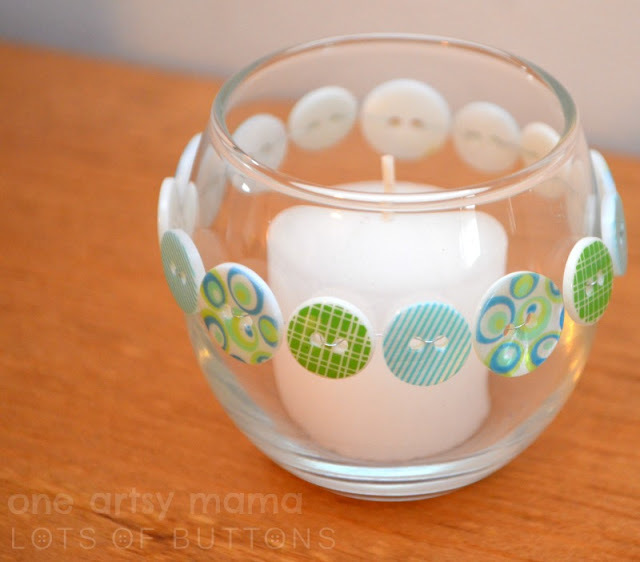 Amy, from One Artsy Mama, shows us how to dress up a plain votive holder with colourful buttons! 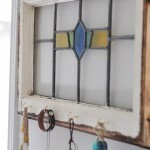 You can create a series of candle holders and wrap them up; how lovely would this look flickering in the summer night? Don’t forget to jot down your appreciation for this incredible soiree! Create a beautiful card using the Silhouette Cameo, like Lauren from The Thinking Closet has done…. 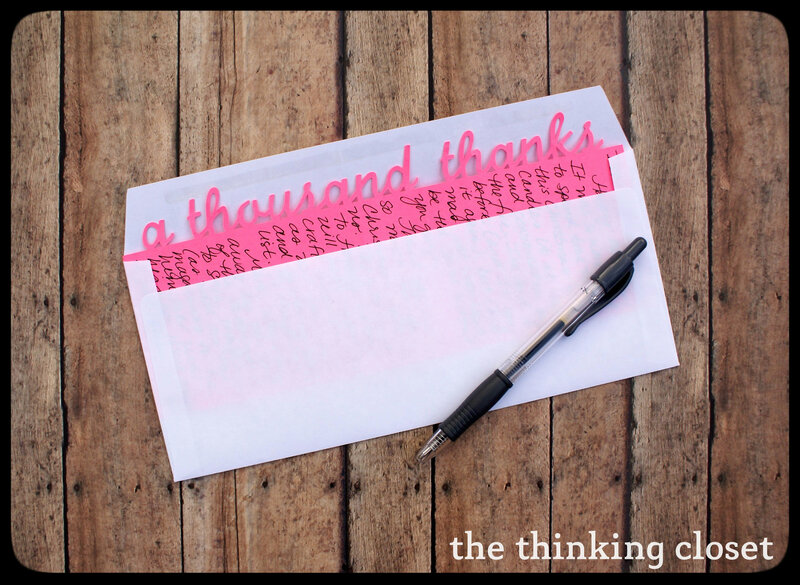 Or use ribbon and gorgeous papers to dress up a card to show your thanks, like Bethany from Pitter & Glink shows us. I love that darling rosette! Presentation isn’t to be forgotten either. Whether you’re giving a potted plant, a bottle of wine, or a bottle of good balsamic vinegar (one of my favourite hostess gifts), consider packaging it creatively. Melanie from It Happens In A Blink shares this great tutorial for painting and personalizing a wooden crate. It’s awesome, and yet practical, too! 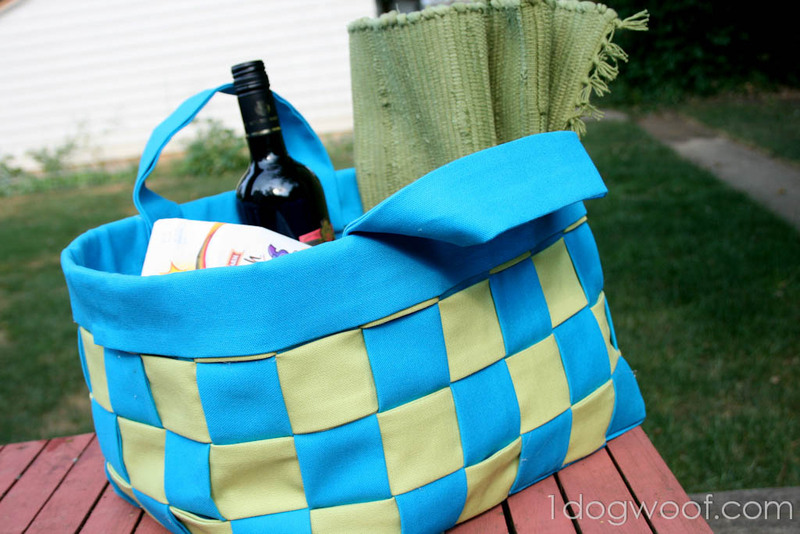 ChiWei from 1 Dog Woof has this incredible tutorial for a no-sew woven basket. I know! How is that possible!?! This is a beautiful way to present your hostess with a few carefully selected favourites. 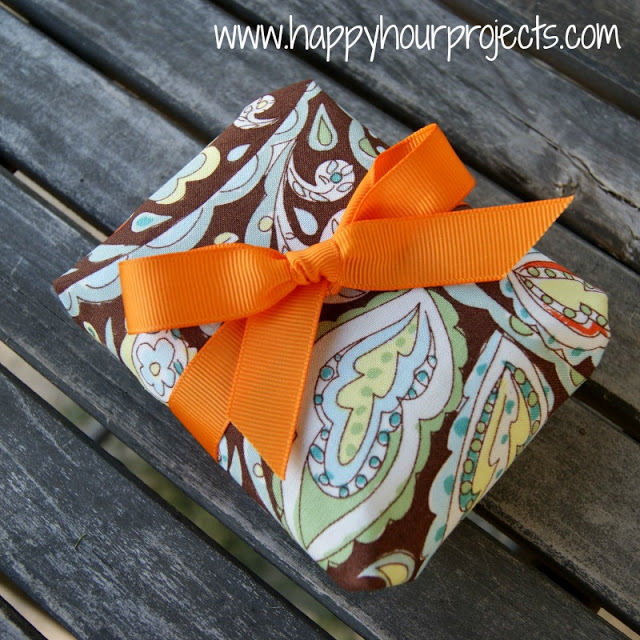 And Adrianne from Happy Hour Projects has a great tutorial for creating a grease-proof fabric wrap for gifts of baking. Ooohhh… wouldn’t the gift of a banana chocolate chip loaf be heavenly? 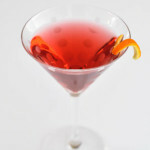 This collection of amazing hostess gifts can be found on my Pinterest board: DIY Hostess Gifts. If you’re always looking for a creative way to say, “Thanks for having me”, then please click over and follow me! I’ll be adding to the board as I find more gems like these! You can also follow me here! Whoo hoo! What an awesome round-up, Tara! (And I’m not just saying that because you featured me…btw thanks for that!) I’m feeling REALLY inspired, though, especially since I’m always smacking my hand to my head when it comes time to stay-over someone’s house and I realize I totally spaced on the hostess gift. I’m really liking the idea of making a whole bunch of bath salts or keeping mason jar wine glasses on hand so I have the at the ready to give as gifts. Adding this to my crafty to do list right now! Thanks for the pattern! I’m definitely going to try this! What a complete and thoughtful list of hostess gifts. I know have a strong urge to invite you over :). Wow, some really great ideas – thanks! 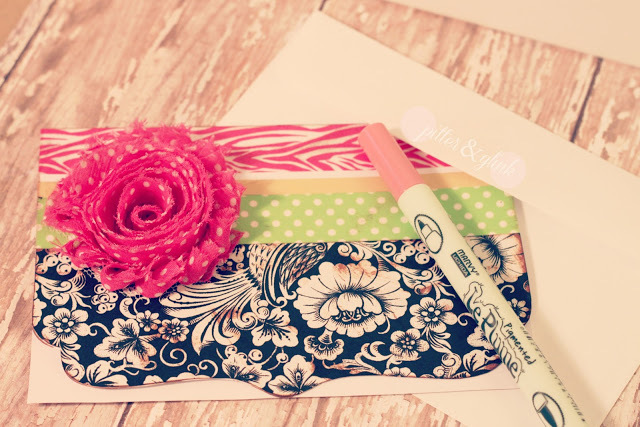 Some really great DIY hostess gifts that you’ve gathered. Thanks so much for sharing. I’ll be pinning some to keep near at hand. Thank you so much, Lisa! I always appreciate a pin! Thanks for including my project! Thank you for having such a rad project to be shared! Your crate is awesome – I would be thrilled to receive it! 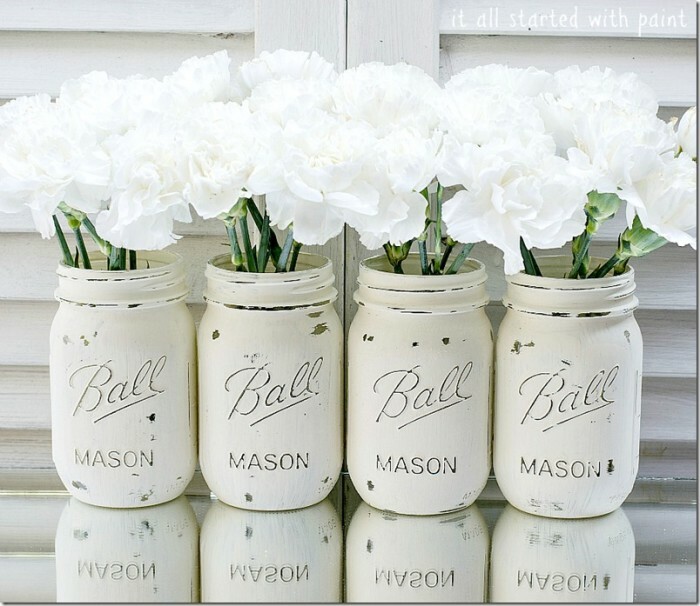 LOVE those vases, I would be very happy to receive one as a hostess gift! Thanks for sharing the roundup! I loved your milk bottle vases, Krista! And sometimes just the simplest changes to an ordinary object can make the biggest difference! Great round up! 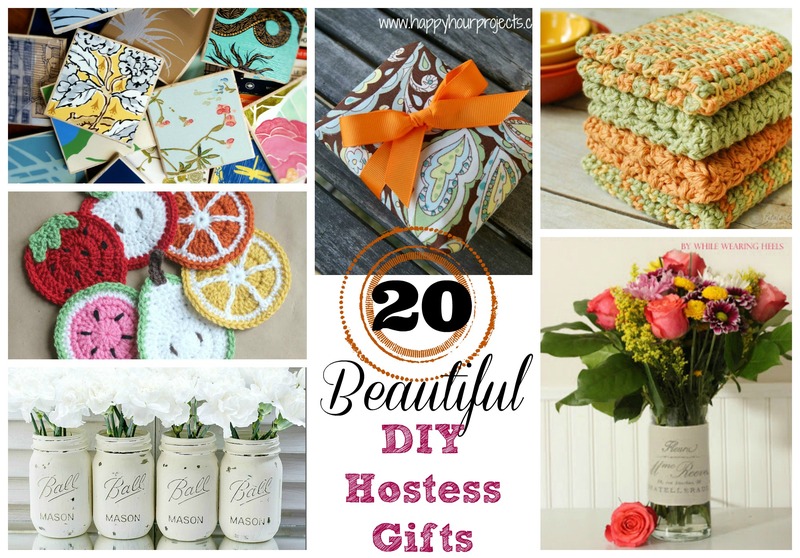 I am always amazed at how much people appreciate the time it took to create a hostess gift. I have often taken flowers from my own garden or something I have baked but these ideas are wonderful! Oh my lands… I absolutely love all the ideas… going to be pinning this post for future reference. 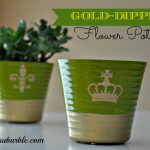 I’m always on the lookout for new hostess gift ideas- great roundup! Love those coasters (I’ve wanted to make them for a long time…). Oh, you’ll have to let me know if you try any of those ideas, Shauna! There are a few that I’m gathering materials for! What a great roundup! I love so many of these ideas! Thanks so much for including mine! Pinned ya! great roundup! it’s always great to have a few things on hand when you need them. Thanks, Dani! You’re so right – it’s so helpful to have a few presents hanging around for the impromptu invite! Thank you so much, Terri! I hope you have a great week too!